Once a natural satellite town 23 km southeast of Warsaw, Otwock is sadly known abroad almost exclusively for Zofiówka, a mental asylum used as an extermination centre during Action T4, a forced “mercy death” programme carried out by the Nazis in wartime. But for North Korean people, Otwock is a glorious city second only to Poland’s capital. It’s even mentioned in schoolbooks. This “fantastic spa town hidden among the pine trees” that once welcomed a number of war orphans from Pyongyang became an indisputable symbol of friendship between North Koreans and Poles. Just like esvery country in the Eastern Bloc, Poland enjoyed a fraternal friendship with the DPRK regime during the Cold War. However, things have changed now: “Despite an economic cooperation limited to a few million euros, Poland maintains an embassy in Pyongyang”, explains Nicolas Levi, a senior analyst at the Polish Center of Asian Studies. Every diplomatic service lives somehow in a parallel world suspended in a space that has its own rules. This is even more true for the North Korean mission in Warsaw. Despite not being as spooky as many dilapidated buildings scattered around Otwock, the Embassy of the DPRK situated on Bobrowiecka Street remains a riddle made of concrete wrapped in an enigma. Over the last two decades, North Korean diplomacy has become more and more inscrutable. The DPRK has imposed cast-iron discipline on its diplomatic personnel abroad. Still, in the nineties, government representatives in Poland would meet with locals for a glass of vodka in their free time and distribute booklets about the Juche ideology (translated into Polish) at social events. 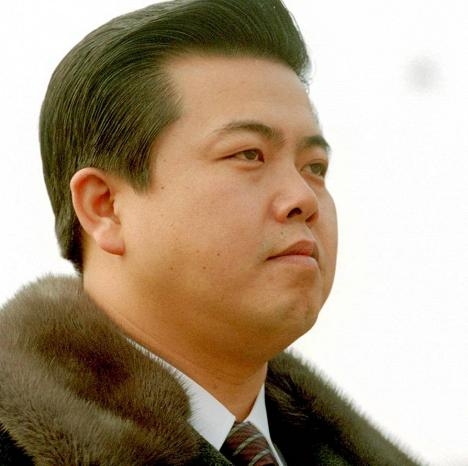 Kim Pyong-il certainly kept a low profile and made very few appearances at diplomatic soirées during his stay in Poland beginning in 1998. Once viewed as Kim il-Sung’s successor, he was excluded from power by his half-brother ‘Dear Leader’ Kim Jong-il and spent a large part of his diplomatic exile on Bobrowiecka Street before he was posted to Prague in 2015. In March 2013 the South Korean daily The Chosun Ilbo reported that North Korea transported drugs through China. They were subsequently dispatched to its embassy in an unknown East European country where diplomats were ordered to sell it for cash. According to the same source of information, similar orders were delivered to other North Korean embassies. Most certainly, this country was not Poland. The infamous Room 39, a secret bureau producing and smuggling synthetic drugs from Pyongyang, would barely make any profit in a country known for being one the major producers of amphetamine in Europe. Similarly, the ‘$100,000 rule’ which requires DPRK diplomatic missions abroad to send funds of that measure back to their home country as proof of loyalty to the regime is not an easy task for North Korean desk-jockeys based in Warsaw. So by what means can the diplomatic staff support itself in Poland? 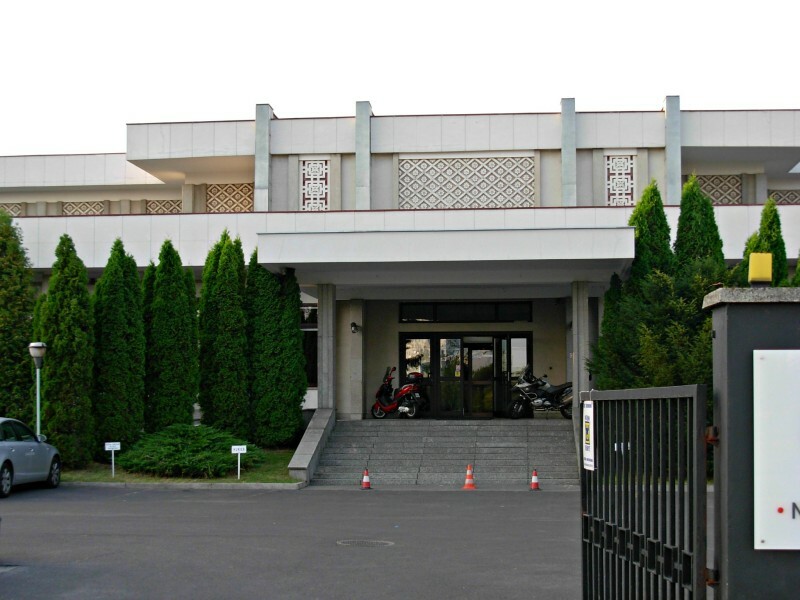 Even though the embassy compound belongs to the Polish State Treasury, Hasco-Lek, a Wrocław-based pharmaceutical firm, is one of the companies that sublet office space from the Embassy of the DPRK. The Ministry of Foreign Affairs in Poland has urged the DPRK Embassy in vain to stop all commercial activities in Warsaw which are in violation of the Vienna Convention on Diplomatic Relations. Worse, one decade ago, Polish entrepreneur Andrzej Kompa signed an agreement to lend more than $2 million to the North Korean government through the embassy to refurbish the building. DPRK diplomats said they would pay him back in monthly instalments with the money earned from renting out part of the building to other clients. But the payments suddenly stopped, and Mr Kompa ended up empty-handed. The DPRK embassy indeed had no legal obligation to pay as it has no legal status under Polish law. In 2009 the personnel changed, and he knocked once more at the door of the embassy to recover his money, but the diplomats told him that the contract was forged. Economic relations between Pyongyang and Warsaw have been at least symbolically maintained thanks to CHOPOL, a joint venture in marine transport founded in 1967. Under the government of Donald Tusk, the firm became profitable again. The last time this has happened was in the final years of Jaruzeski’s regime. The Polish head of CHOPOL Zofia Rutkowska explains: “Our business is based on a 3 500-ton cargo ship which carries metal ores and coal across the Yellow Sea. We are planning to enlarge our fleet with a new freighter”. Despite the recent upswing, the company would not be financially able to make such a purchase without bilateral aid from both states. The Gdynia-based representative office of this two-headed company has always refused to submit its ledger to Polish tax authorities, but any claims the flotilla smuggled illicit goods across the Pacific remain unproven. In other ventures, the shortage of transparency is associated with an even clearer lack of business ethics. A few years ago Polish landowner Stanisław Dobek set up a North Korean sweatshop of farm workers in Sandomierz county. He confiscated the passports of the immigrants, who received nothing else than cabbage and apples for their work in the field. 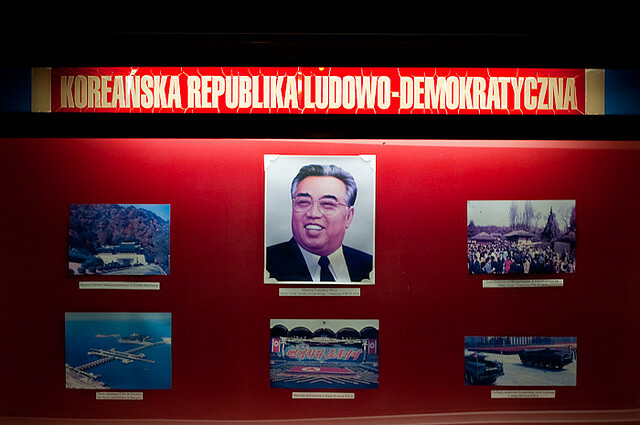 Then there is Jacek Ponierewski, a former president of the Polish Rail Transport who was sacked after the firm discovered he is a supporter of Kim Jong-un’s dictatorship—though he never joined the Korean Friendship Association (KFA), an official PR agency active in more than 120 countries which promotes the Juche movement abroad. 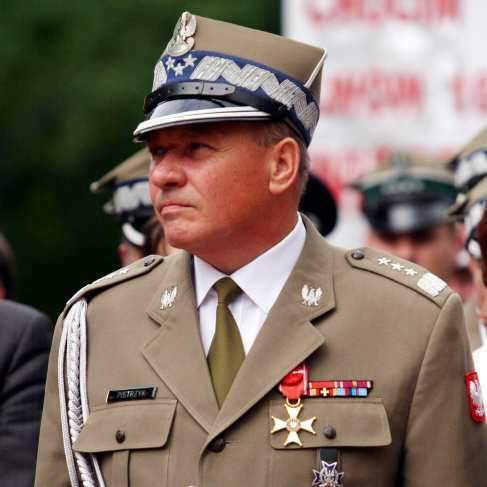 Both Mr Dobek and Mr Poniewierski are instead prominent members of the Towarzystwo Polsko-Koreanskie (TPK), a parallel club of veterans active in Poland since the eighties. When asked about his collaboration with the old guard, the Official Delegate of KFA in Poland Łukasz Mrozek doesn’t go beyond a rigid conformity in his answer: “KFA and TPK don’t work together”. Unlike his most of his senior compatriots, Mr. Mrozek has never visited Pyongyang and had never heard about Otwock. His predecessor Tomasz Fornalewicz showed that the KFA is not exactly an impenetrable organisation: “A couple of e-mails praising the DPRK were enough to get me appointed OD for Poland in March 2012. Formally, I remained in charge for a few months until they realised that I was doing nothing to promote their activities”. “My joke didn’t last long, but I obtained a comprehensive list of Polish sympathisers of DPRK and their e-mail addresses”. The file was subsequently posted on his blog together with an account of his short-lived journey with KFA. “Poles don’t want to hear or read about Juche ideology and labour camps”, he adds. There are plenty of lobbyists abroad that stand up for the DPRK regime for personal gain without necessarily agreeing with North Korean ideology. However, many other Westerners, hidden behind acronyms, are incapable of supplying a rational explanation for their obscure fascination with North Korea’s regime. Having visited both North Korea and Poland on numerous occasions I can honestly say the people are actually very similar. This is very correct especially under PiS regime, which is a lighter version of the autocrative rule in North Korea, there are many similiraties but there also huge differences …. Elaborating on the main difference… For once, Poland still remains vaguely more open to the world and allows internet. However Poles remain isolated from outside world mostly by a form of auto regulation similar to the one practiced by the North Korean regime. The cities and buildings are very similar to each other and this might actually be due to the fact that Polish architects shared theire innovations with North Korean colleagues. Polish national culture and society especially the media are very similar though Poles are less patetic than the North Korean anchors. Polish cinema and North Korean cinema are very similar, it’s easy for me as a Pole to understand the ideals of the Juche, since the Polish concept of a nation state is very similar, both rely on some form of isolated autonomy from the evil west. (represented by both the imperialist US for North Korea and corrupted EU controlled by Germany for Poland) and the need to defend one’s nation from the enemy. Both send out its workers to foreign countries and profit from it, though Poles are allowed nominally more freedom than North Koreans when abroad. Unlike North Korean, Poles can form individual agreements with foreign agencies. Both states exercise control over its people even when they are abroad, but Poles are afforded more liberties. Poles are allowed to form relationships with foreginers, which are under scrutiny of Polish institutions(if the couple plans to move to Poland) North Koreans are not allowed to marry foreginers or have any relationship with them as it is seen by the government as an act of treason. Poland does not restrict the import or access to foreign cultural sources, unlike North Korea there are no harsh PENALTIES,FOR WATCHING FOREIGN TELEVISION.